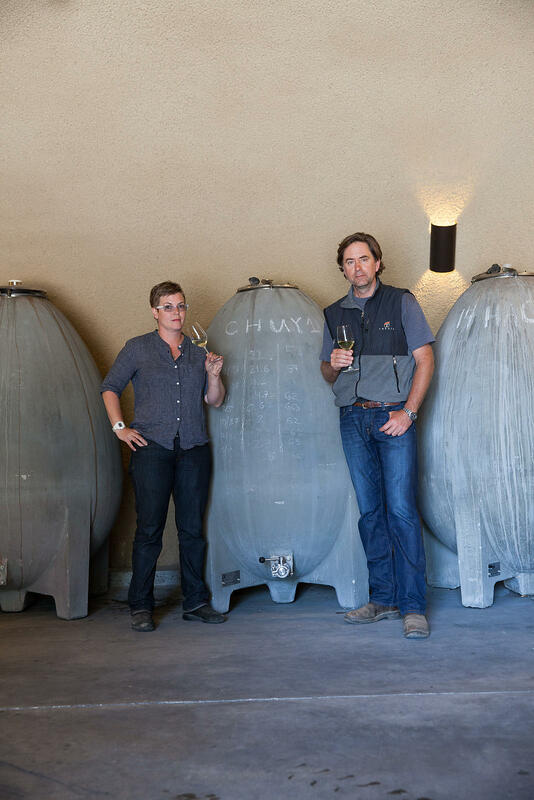 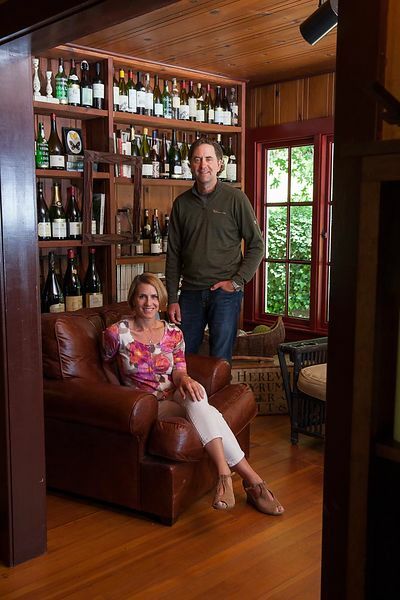 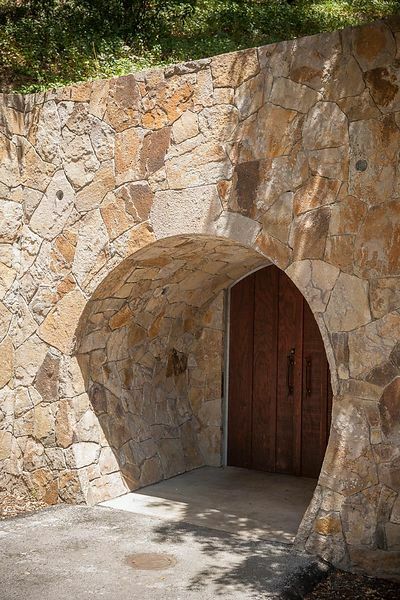 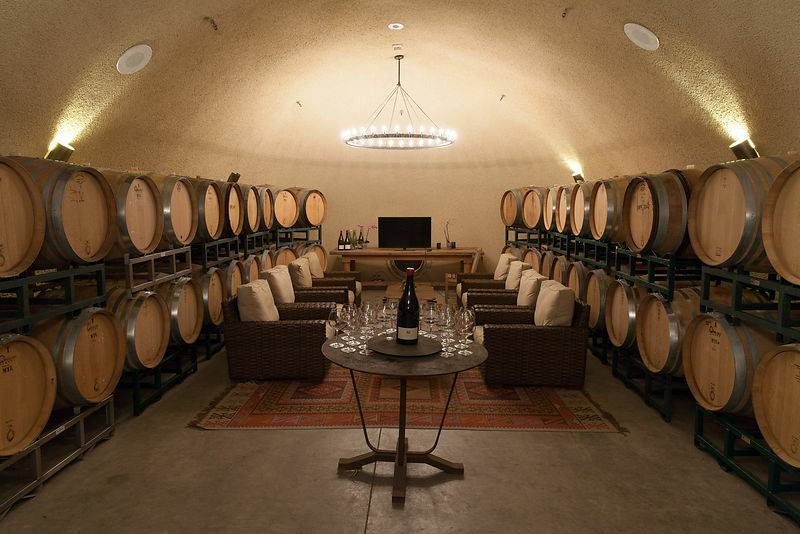 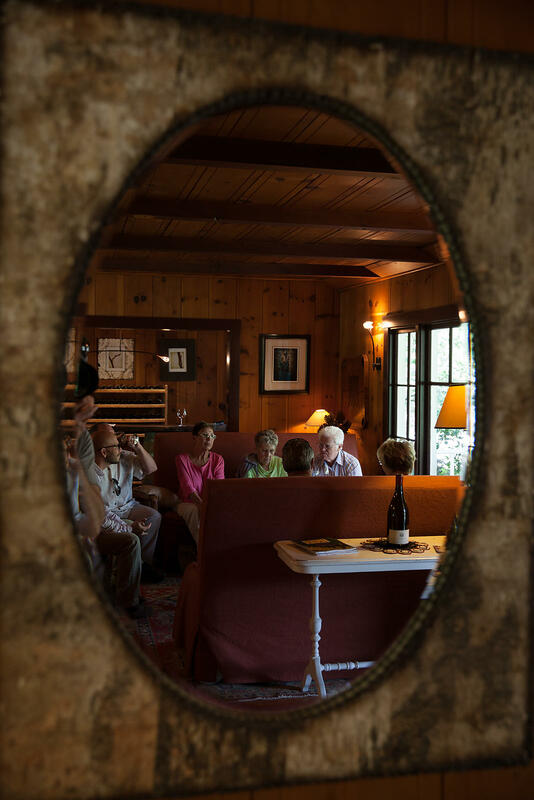 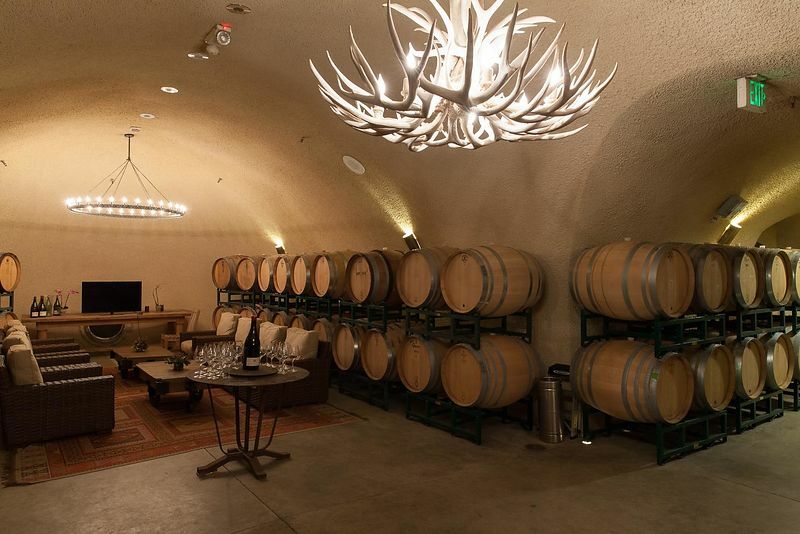 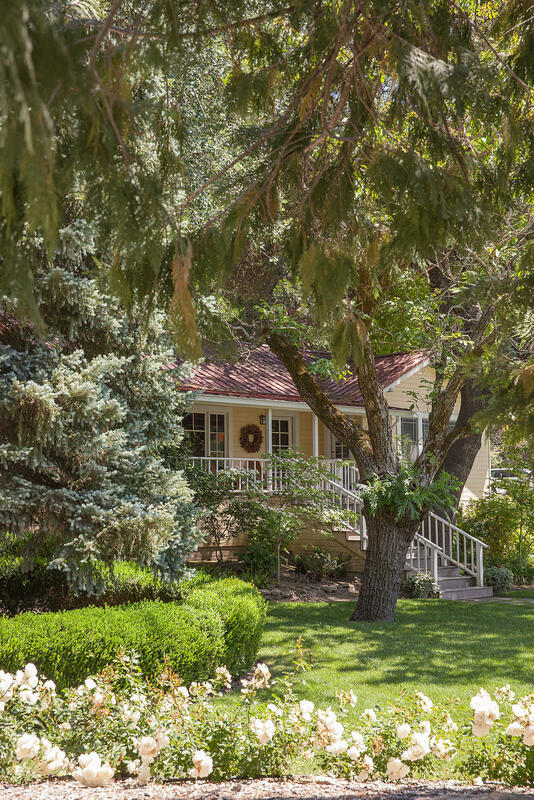 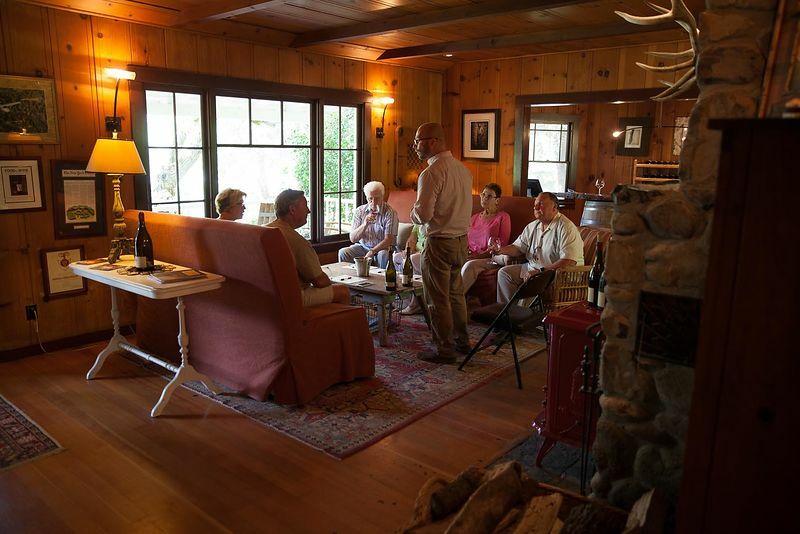 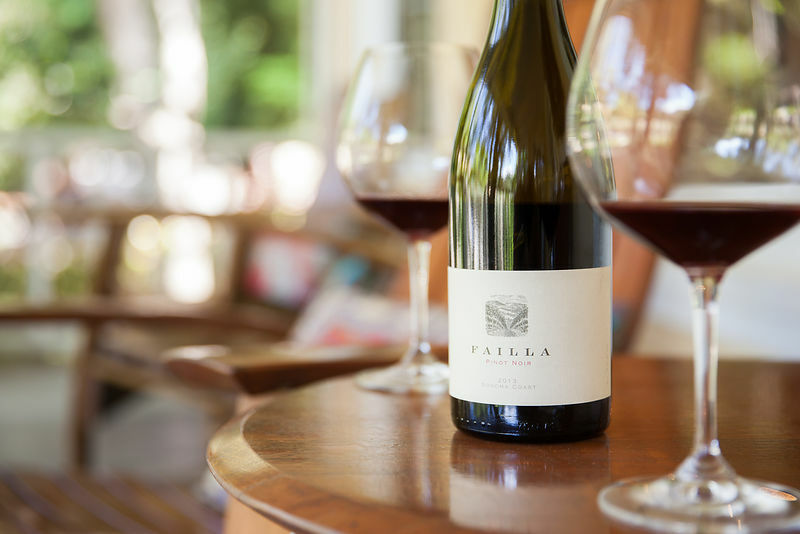 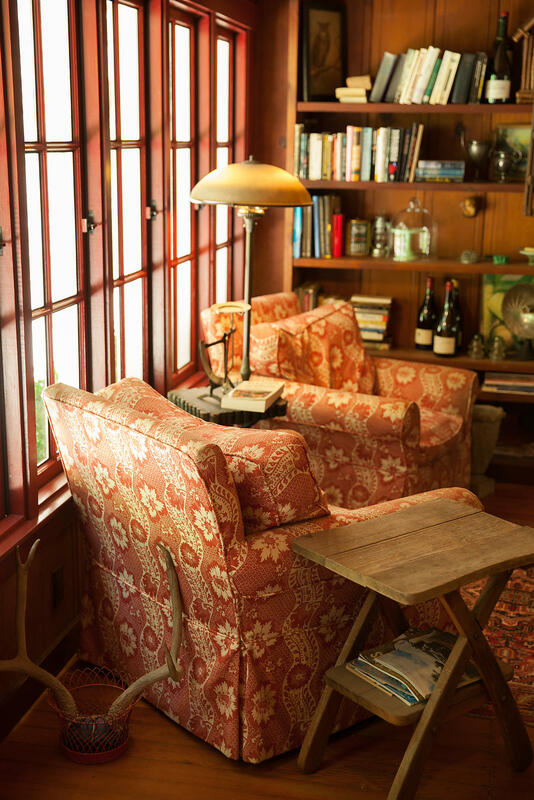 This feature on Faila Wines was photographed for a Wine Spectator magazine feature. 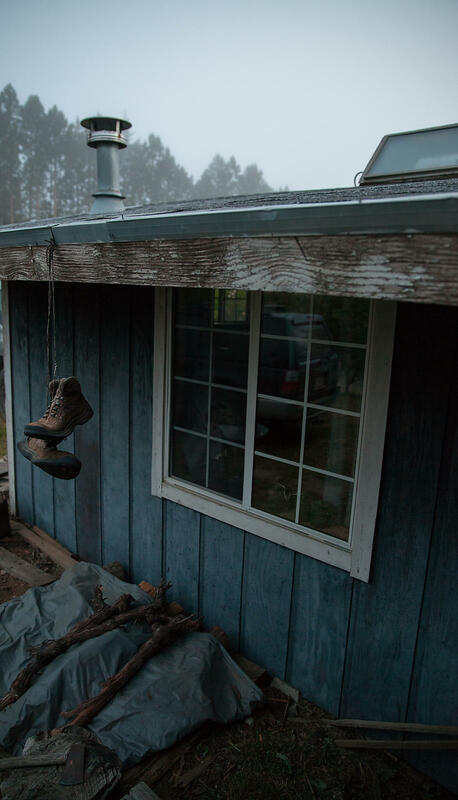 It was one of those great fluid projects where timing the weather was everything. 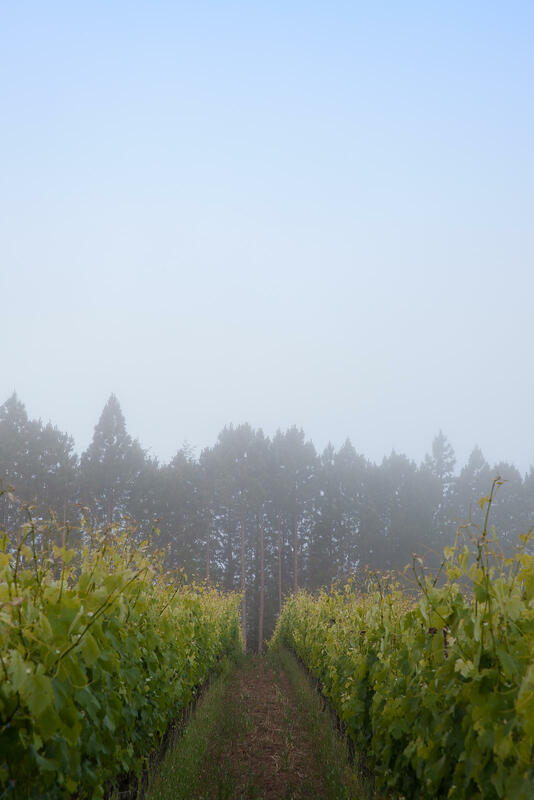 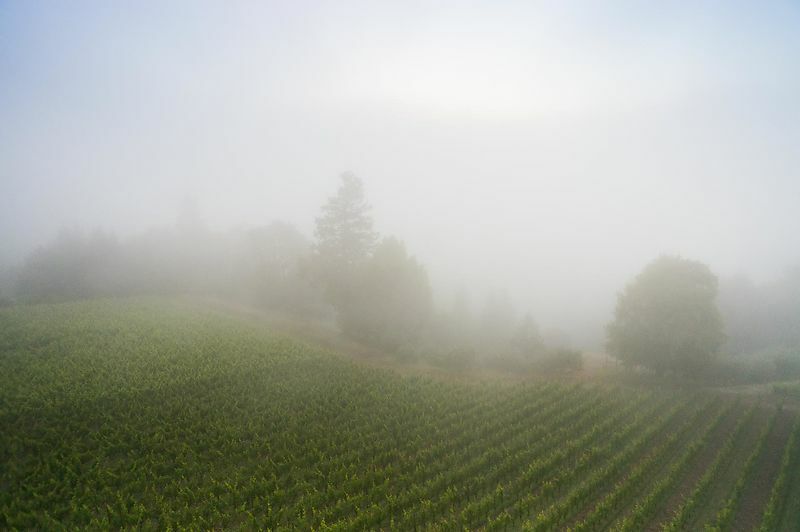 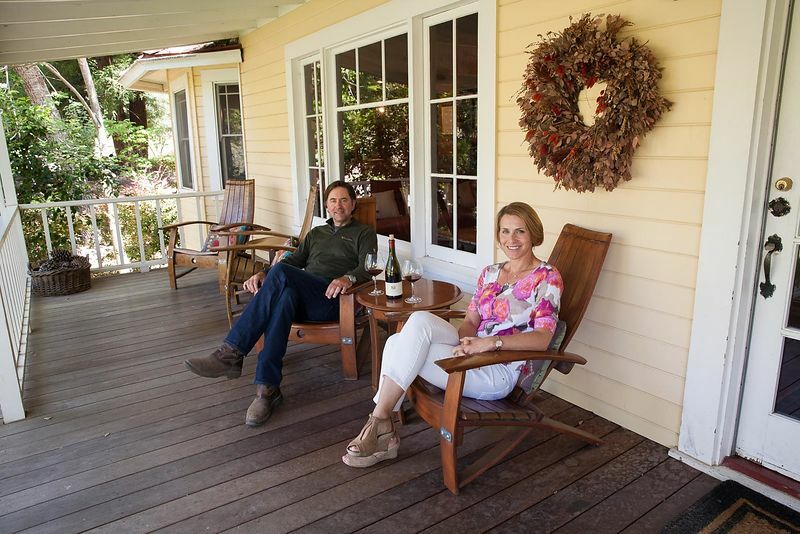 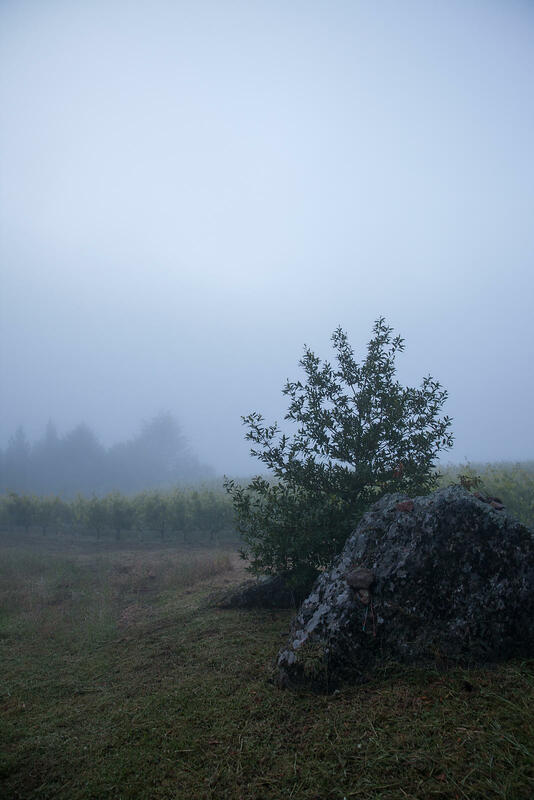 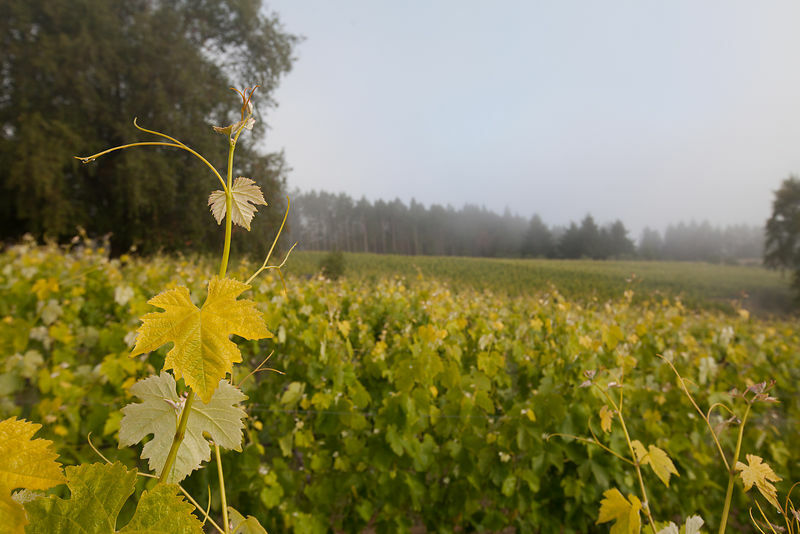 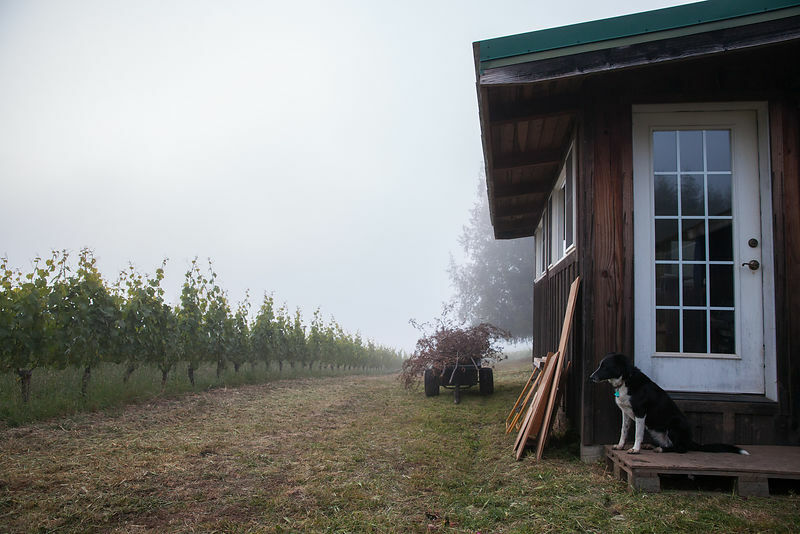 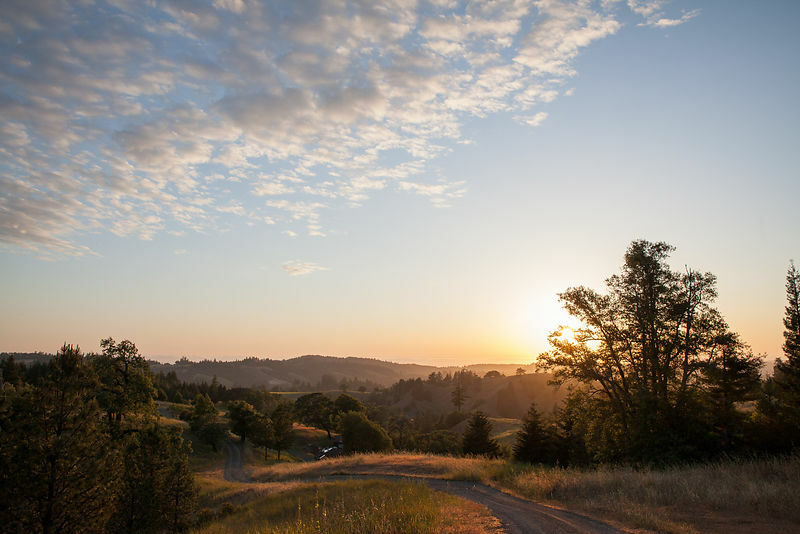 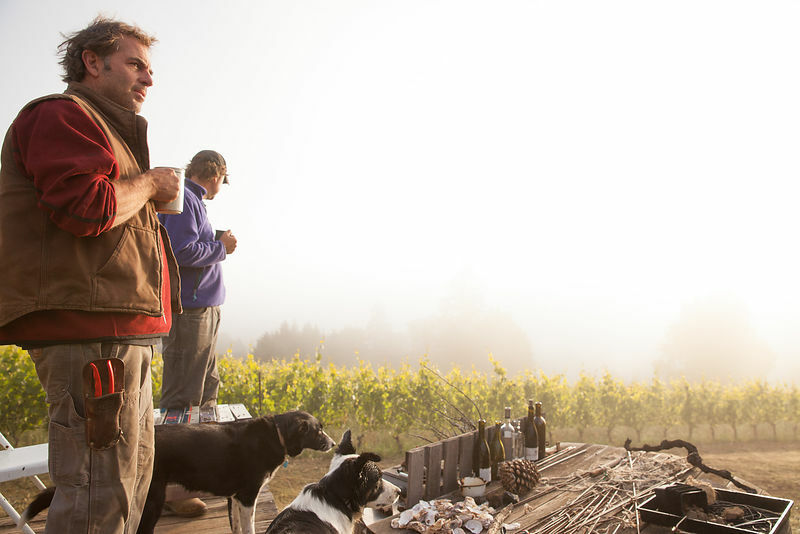 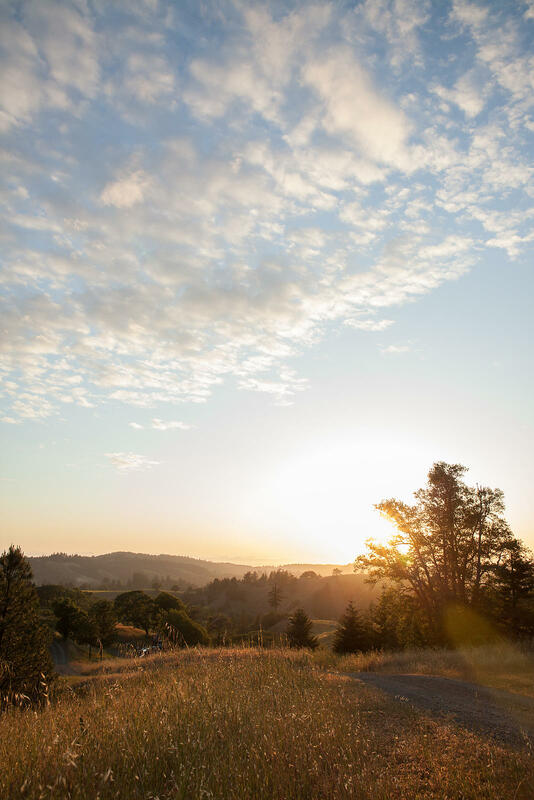 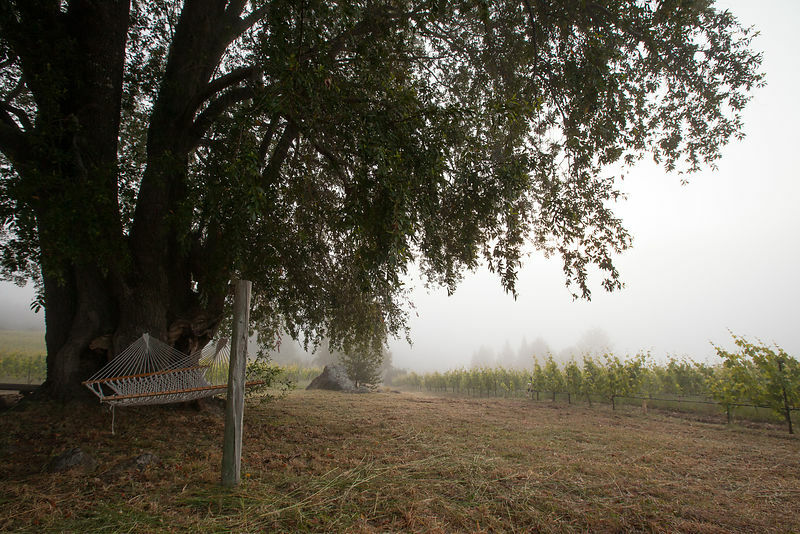 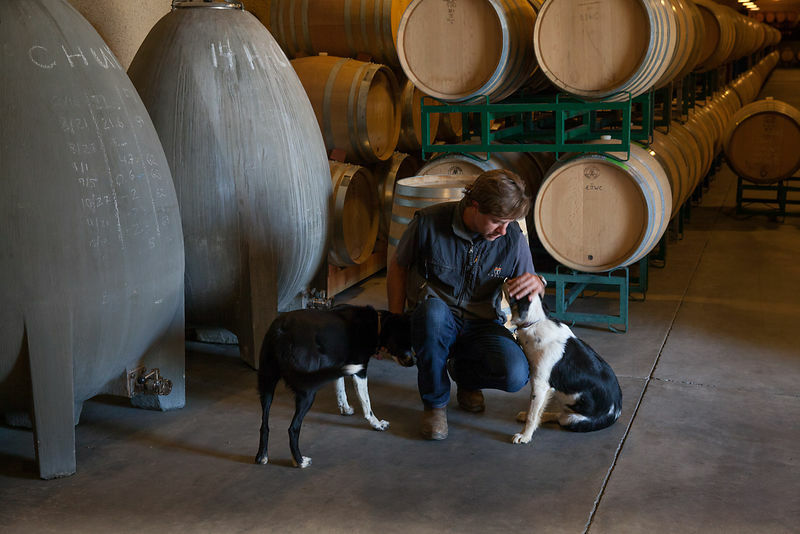 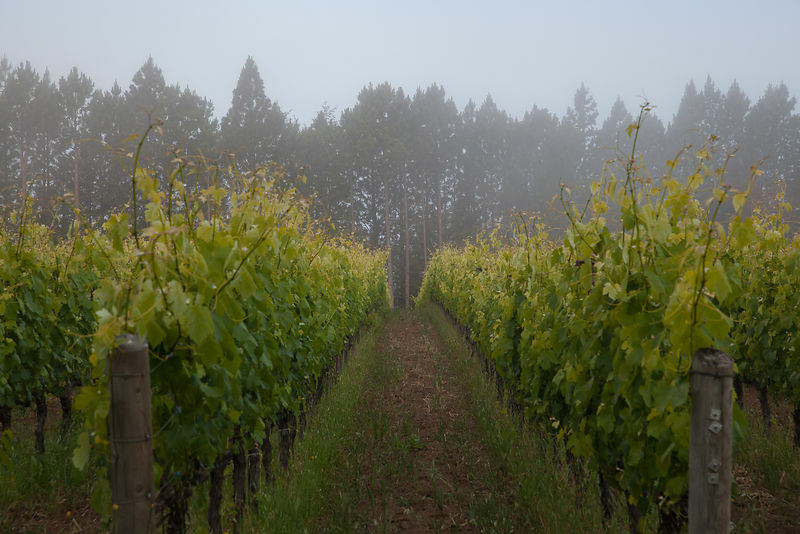 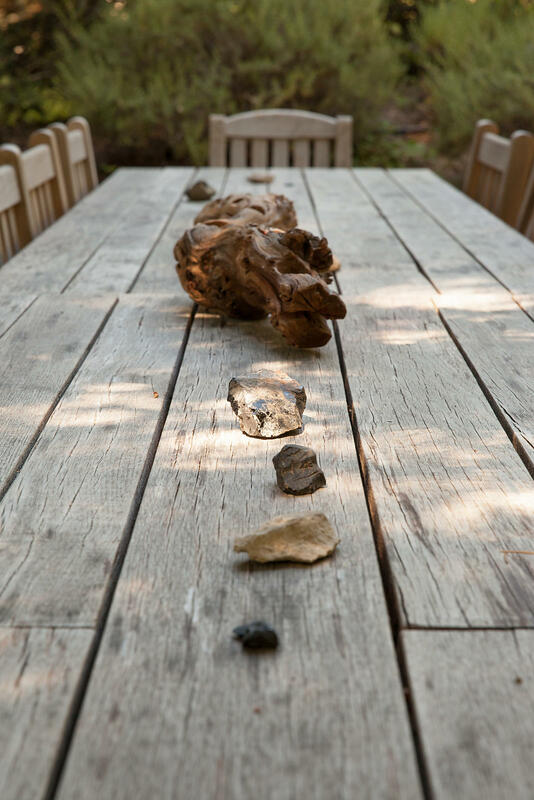 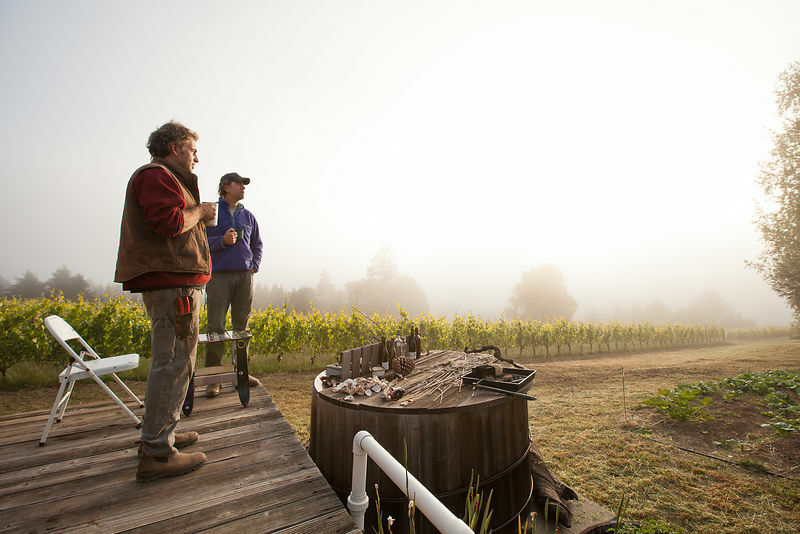 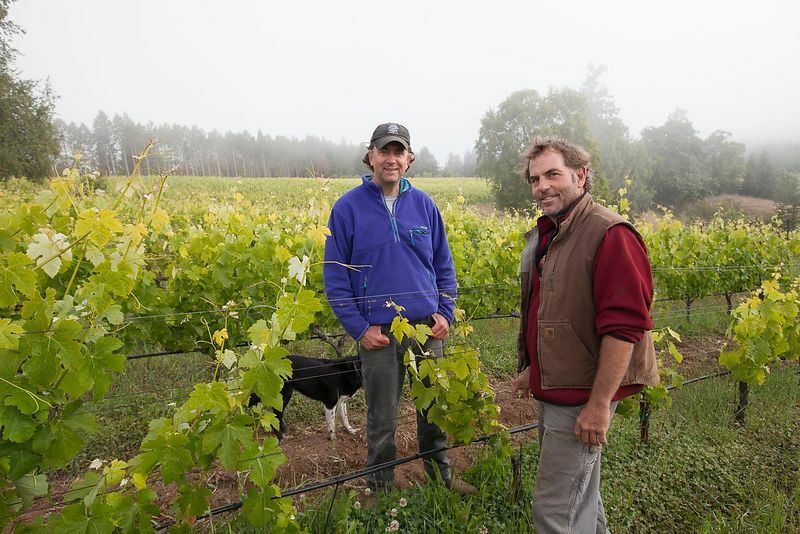 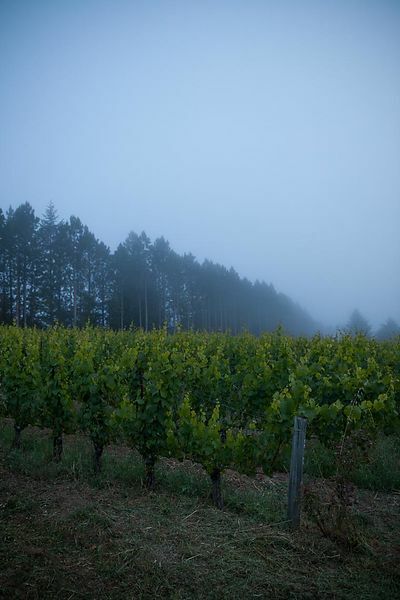 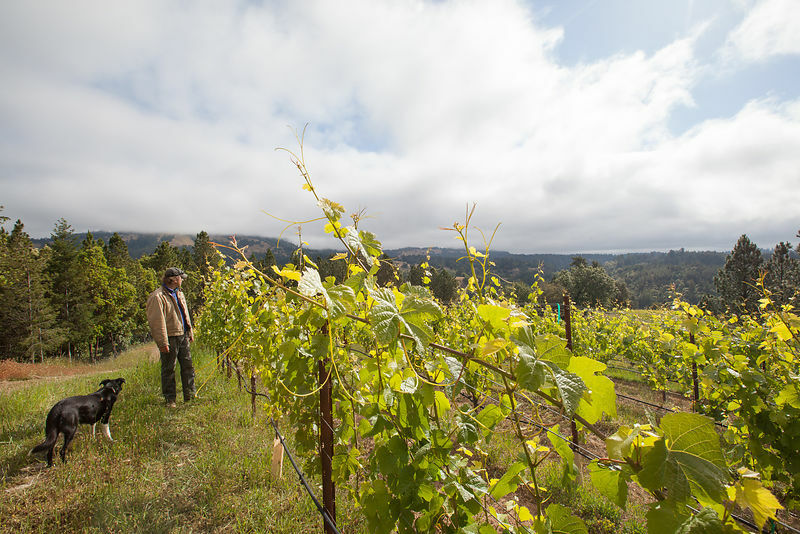 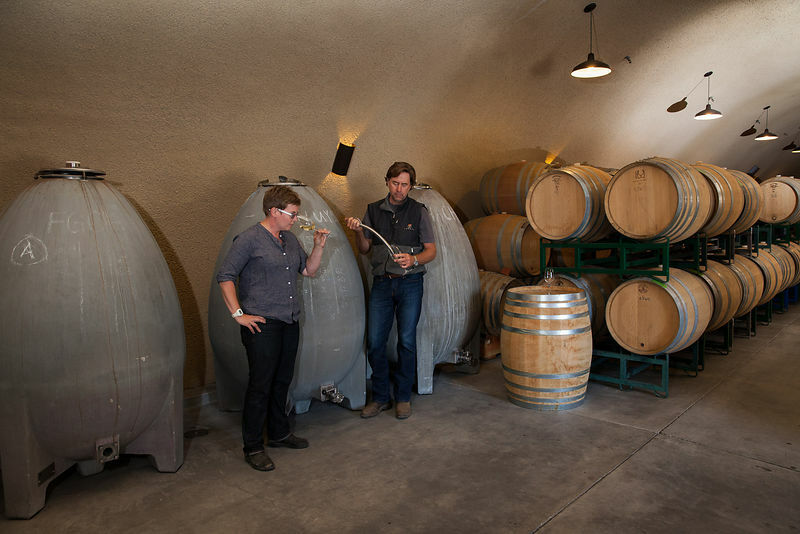 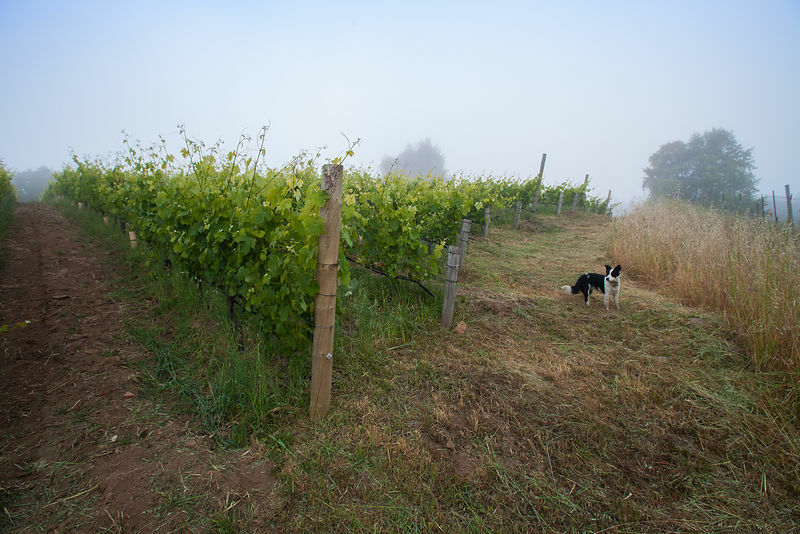 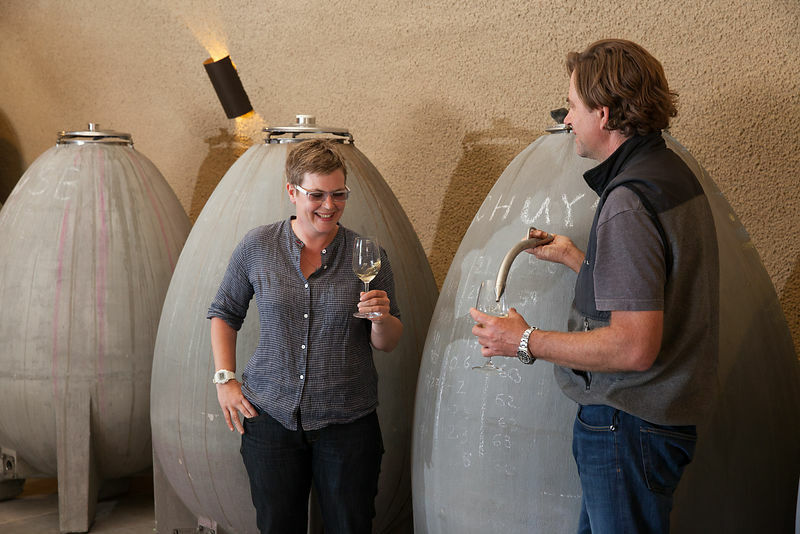 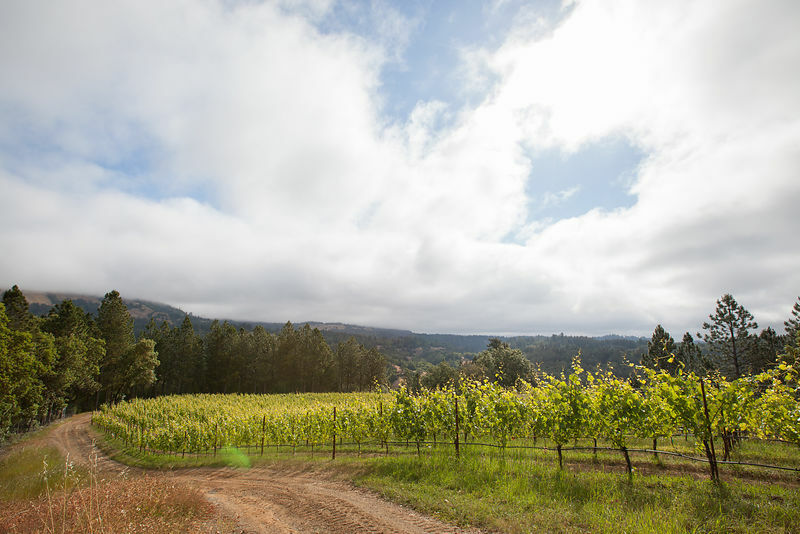 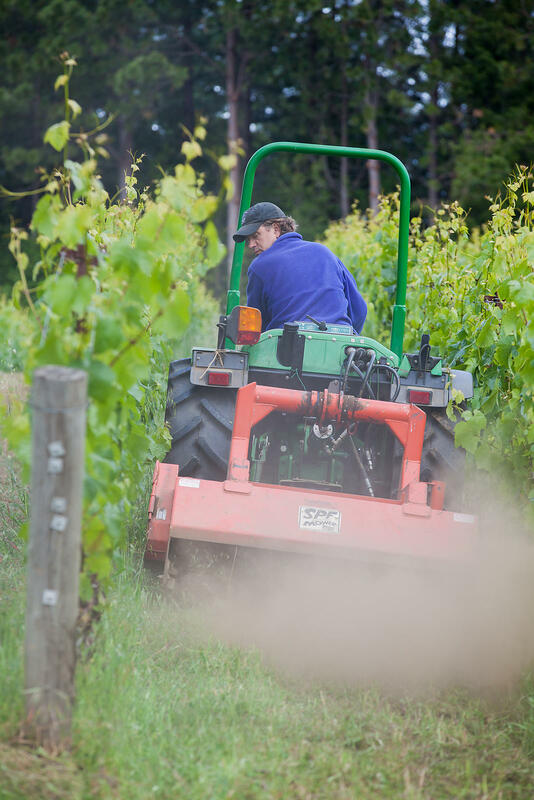 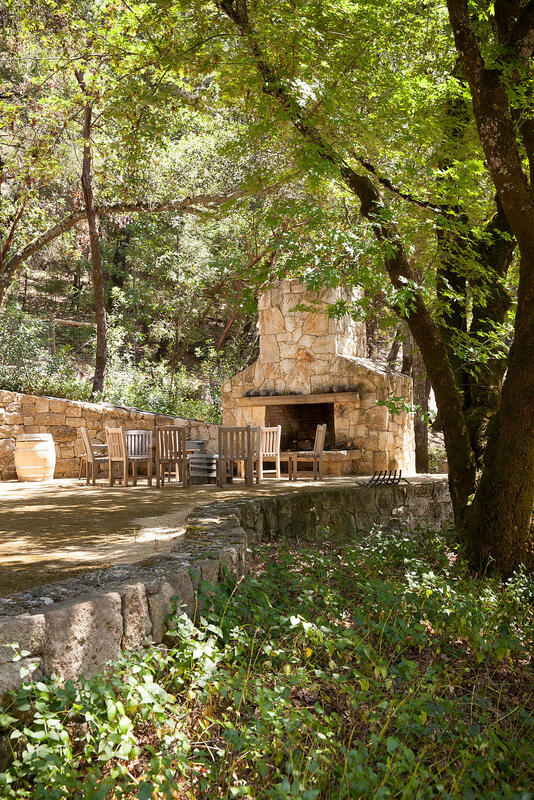 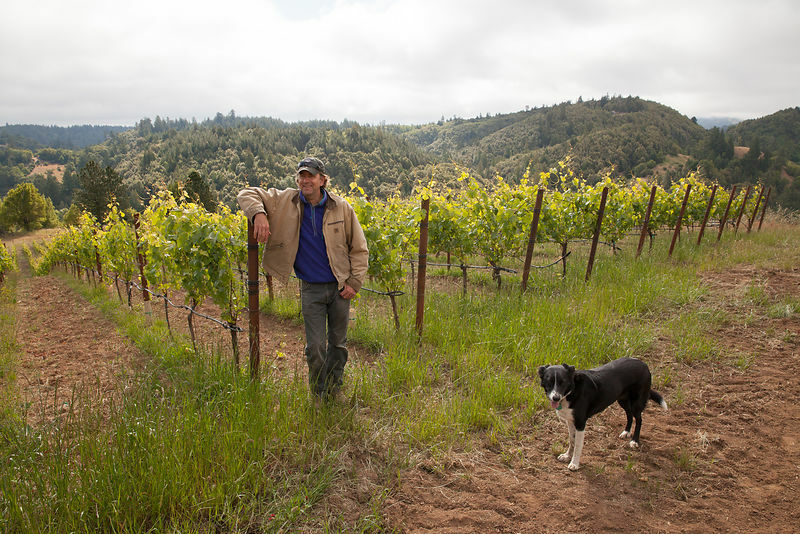 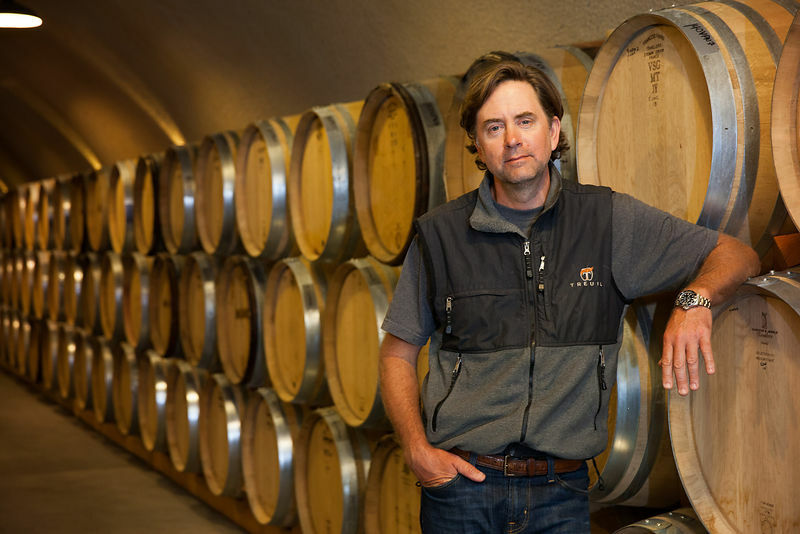 Ehren Jordan's vineyard site sits atop the rugged Sonoma coast appellation and planning for sunny days was a challenge. 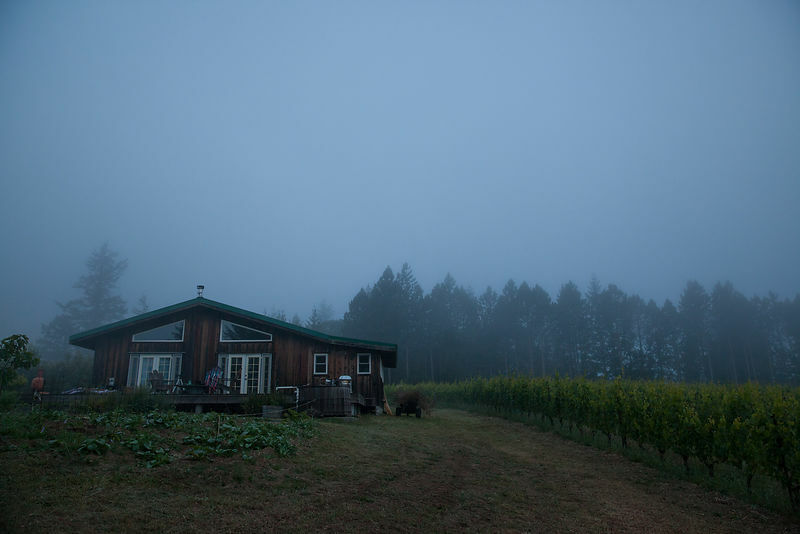 So to be sure we were there for the peak of sunrise, he invited me to crash at their cabin. 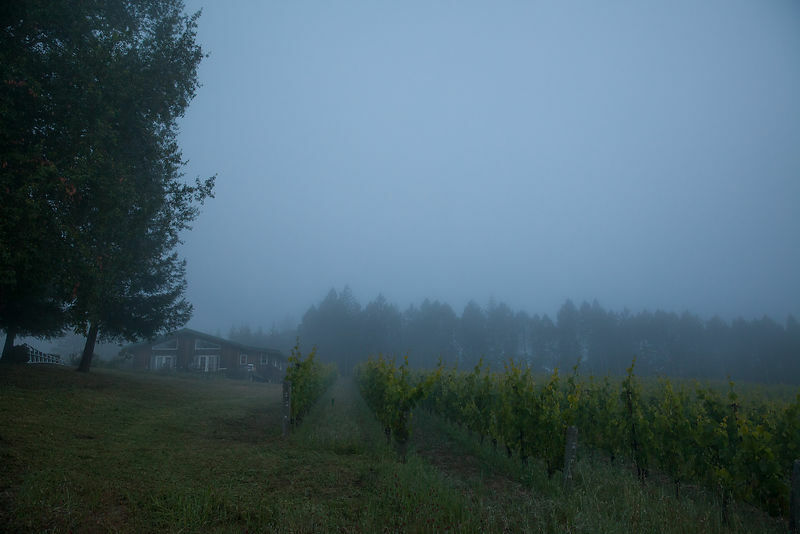 The weather the following day expressed all the typical patterns... from a golden sunset to a completely socked-in, foggy morning.